I think that Trepidation was the name of an old mod/fork at some point, now that I think about it, but that's ancient history now. Probably not going to cause a lot of issues. Nice to see you're still around and kickin' as well, Kharnov. How about you fix your forum? I did a Google Image search for "100 width forum avatar" and this was the first 100 width forum avatar. Congratulations. Congratulations. Congratulations. Congratulations. Congratulations. Congratulations. Congratulations. Congratulations. Congratulations. Congratulations. Congratulations. Congratulations. Congratulations. Congratulations. Congratulations. Congratulations. Congratulations. Congratulations. Congratulations. Congratulations. Congratulations. Congratulations. Congratulations. Congratulations. Back on topic: the two best candidates at the moment I would say are Extinction and Trepidation. I thought I'd mock those two up to see how they behave in an ominous space-y setting. They both work pretty well, in my opinion. EDIT: It is pure coincidence that this looks a lot like the new Cosmos title slide. I didn't see that slide until at least 12 hours after making this. I may do some more if anyone wants it and if it fancies me. Last edited by Whales on Thu Mar 06, 2014 12:38 am UTC, edited 1 time in total. Nice to see this thread popping up. I also dislike the UNVQ name somehow. I mean, it's not evil or ridiculous but somehow i think it doesn't describe the game in any good way OR/AND triggers my attention. Maybe it's just too long? long and describes your _feelings_ about the 'thing' you want to name. I think inclination is a decent name. Trepidation sounds quite good. 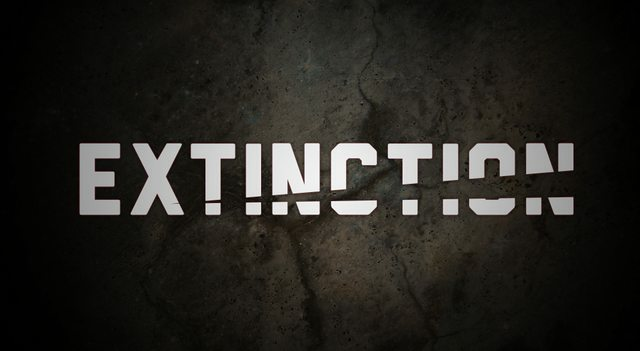 According to Google it only brings up about 1,290,000 results as opposed to Extinction's ridiculous 17,200,000 results.